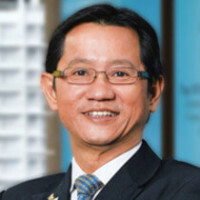 Mr. Patrick Liew sits on the Board of Directors of companies that are involved in education, info-communications technologies, and investments. Previously, he was a Director of HSR Property Group. Patrick earned an MBA from Henley Management College/Brunel University. He is a Certified International Property Specialist (U.S.A.). He is the co-author of a best-selling book and has co-produced more than ten personal development systems. Patrick was an advisor to the Singapore Polytechnic, International Board Member of a non-profit business association, past President of an entrepreneurs’ club, a past Vice-President of the Singapore Computer Society, and a board member of two civic groups.